Answer: Tension headaches are the most common type of headache. Millions of people get them. The trigger could be an argument, poor posture, lack of sleep, overworking yourself, chronic pain, tight muscles, eyestrain, skipping a meal or grinding your teeth. One main reason is muscle tightness. An occasional tension headache is no big deal, but if they're "chronic," defined by more than 15/month for 3 months solid, I can see why you take that medicine! Rhodiola- Perfect for people with a lot of mental stress, emotional conflict or anxiety. As you know, that can cause tension headaches. Because rhodiola removes ammonia and lactic acid from your blood, it could help with muscle fatigue. Shoot for about 100mg per day, taken anytime before lunch as it may be slightly stimulating. Magnesium- Simple solution for tight muscles, a common trigger for CTTH. Magnesium relaxes your muscles. If you read my Drug Mugger book, over 200 prescription medications mug it from your body leaving you at risk for muscle aches, migraines, depression, high blood pressure and cardiac arrhythmias. Some forms of magnesium will give you diarrhea. Choose high-quality brands. 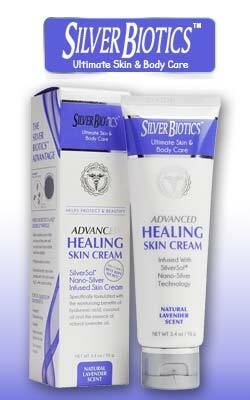 Arnica Cream- You can buy this at health food stores, it helps soothe muscle aches and relax tight muscles. When the ingredients found in this beautiful flower extract get into your cells, they temporarily shut down a metabolic pathway called NF Kappa B, (NF?B) which spills nasty pain-causing chemicals (termed "cytokines"). You can have your massage therapist rub it on too. Hops- Known also as Humulus lupulus, this herb can reduce histamine levels, a compound (better termed a "cytokine") that is associated with headaches. Hops also helps you to fall asleep, and we know insomnia is a trigger for CTTH (and migraines). When I say hops, I mean the supplement form or tea, not beer! Hops is known as a flavoring agent in beer. Previous Article Is Your Medication Making You Sick?